Reliable and fact-filled, the Handbook of Psychotropic Herbs: A Scientific Analysis of Natural Treatments for Psychiatric Conditions offers psychiatrists, psychologists, counselors, physicians, and students in these fields a comprehensive review of the history, pharmacology, chemistry, and uses of medicinal herbs. A valuable resource for understanding today's unregulated herbal marketplace, this essential guide examines such herbs as ginkgo, ginseng, kava kava, linden, German chamomile, St. John's wort, and valerian, among others. The Handbook of Psychotropic Herbs will help you make a well-informed decision on what herbal treatments may be effective and safe for patients, or for you! Figures show that 30 percent of American adults use herbs. The Handbook of Psychotropic Herbs investigates the medical value of over 30 well-known herbs through in-depth evaluations that will give you a fuller understanding of the uses and misuses of these natural remedies. This invaluable guide examines the history, use, and research findings of each herb. 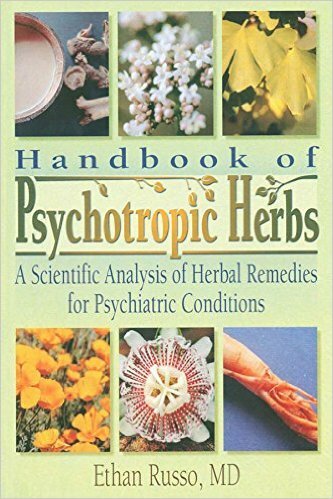 The Handbook of Psychotropic Herbs lists the effectiveness of each herb, guidelines for its use, and any precautions you need to be aware of, and also includes the author's recommendations on approved dosages. Containing cutting-edge information about herbal medicine, the Handbook of Psychotropic Herbs will assist readers in making intelligent choices about buying and using herbs.